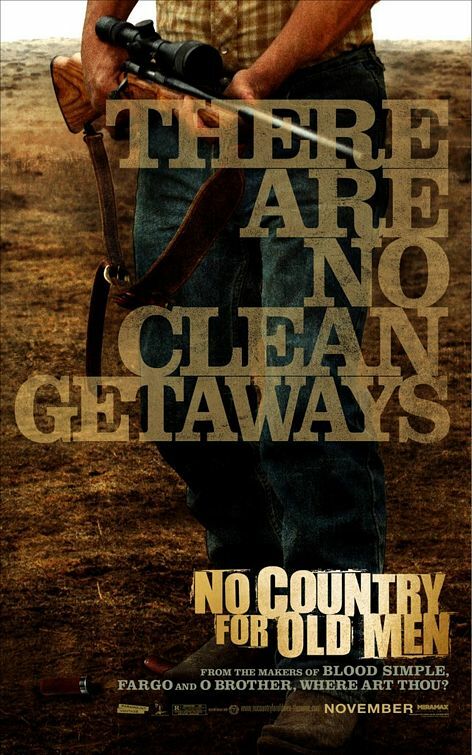 No Country for Old Men – Did You See That One? After a hunter (Brolin) stumbles across 2 million dollars and the bloody aftermath of a drug deal gone wrong he becomes the target of a terrifying killer (Bardem). Now the killer is leaving a trail of bodies in search for the hunter and the money he took. It’s hard to know where to begin when you talk about this film. This is perhaps the truest adaptation that the Coen brothers (Inside Llewyn Davis) have ever done. Their work captures the non-conventional style of Cormac McCarthy’s (All the Pretty Horses) 2005 novel of the same name, keeping the bulk of his story intact. The Coens (Blood Simple) not only adapted the novel but also directed this film, which earned an Oscar for Best Picture. The Coens also earned the Best Director Oscar for their work. The cast of the film includes Tommy Lee Jones (The Client), Javier Bardem (Biutiful), Josh Brolin (True Grit (2010)), Woody Harrelson (Out of the Furnace), and Kelly Macdonald (Brave). This adaptation of McCarthy’s novel was another chance for the Coens to turn away from genre conventions. The story doesn’t bring out the typical meeting between bad and good. Instead the writing allows the lines to be blurred and the consequences to fall upon innocents and players alike. This makes for a wild ride where every scene is intense and sometimes a bit unnerving. The limited use of dialogue allows the story to be told through actions and even the setting. The writing is honest and unflinching when it comes to the violent consequences for everyone. I love the fact that no one is safe in this film. Unlike most thrillers of this nature, there seems to be no rule about who might have to pay a price. The characters for this film are all nicely developed. Even the people who almost feel unimportant seem to be given a depth that really personalizes their role in this dark drama. This story doesn’t miss a beat, and pays off exactly as it should. Ethan and Joel Coen shared an Oscar win for Best Adapted Screenplay for their work on this one. The actors in this film were tasked with the challenge of making their roles work despite a major lack of dialogue. The result is a series of performances that physically carry the tension and drama of this story. When it does appear, the dialogue is delivered nicely from the stars. Josh Brolin does a great job making his character interesting. He also handles the physical aspects of the role nicely. Tommy Lee Jones also does a great job. He was the perfect choice to play an aging lawman who’s starting to examine the life he’s led. Woody Harrelson and Kelly Macdonald are also great in this movie. Their roles really help to round out the story, giving it depth that helps it to rise above a simple revenge film. Javier Bardem transforms this film with his incredible performance in this movie. The physical transformation of his character leaves no doubt that he’s someone to watch throughout the film. He follows this up with cold portrayals of violence that serve to deepen the remorseless nature of his role. It’s almost as though he sought to make his character so strange that there would be no way to remain comfortable when he’s on the screen. Either way, that’s what he created. His scenes are intense and riveting, making his moments in the film memorable and uncomfortable all at once. His success was further validated by his Oscar win for Best Supporting Actor. The visuals in this film keep the audience at a distance from the action. While the violence might have been too much, the way it’s shown seems to distance it from the viewer. This results in an odd beauty about the way these scenes are shot. The violence depicted also seems to be necessary. Not one moment feels gratuitous or overdone. The beauty of the film doesn’t just exist in violence. The whole film captures the natural beauty of the sets and locations. The cinematography by Roger Deakins (Skyfall) does a nice job making sure that the story feels realistic. With different stylistic choices this could easily be a pulpy violent mess. While that might have been fun, this movie is way more interesting and thoughtful. Roger Deakins was nominated for Best Cinematography for his work on this one. The film also benefits from great editing that allows the right moments to linger just a little longer, all while keeping the pace of the film going nicely. This earned the film an Oscar nomination for Best Editing. The film features great sets, locations, and costuming that all help to make this movie come to life. It’s always interesting to see a recent era, like 1980, be brought back in a film like this. In addition, the production team did a good job giving this small slice of Texas an identity that is memorable and fitting for the story. The success of this film extends to the sound work as well. The film was nominated for Academy Awards for Best Sound Mixing and Sound Editing. This is one of the most intense Best Picture winners out there. If you’re a fan of thrillers, crime, or drama this might be one for you. Fans of the Coen brothers should definitely see this one. If it’s been a while it has great repeat value and it’s never too soon. I would also suggest this to fans of the stars in this one. The performances work perfectly with this wonderful story. I give this one 5 out of 5 stars.